Director James Wan presented footage of the December release with his cast in tow. Momoa will reprise his duel “Justice League” role as Arthur Curry/Aquaman in the latest film from Australian director James Wan (“The Conjuring” series, “Furious 7”). 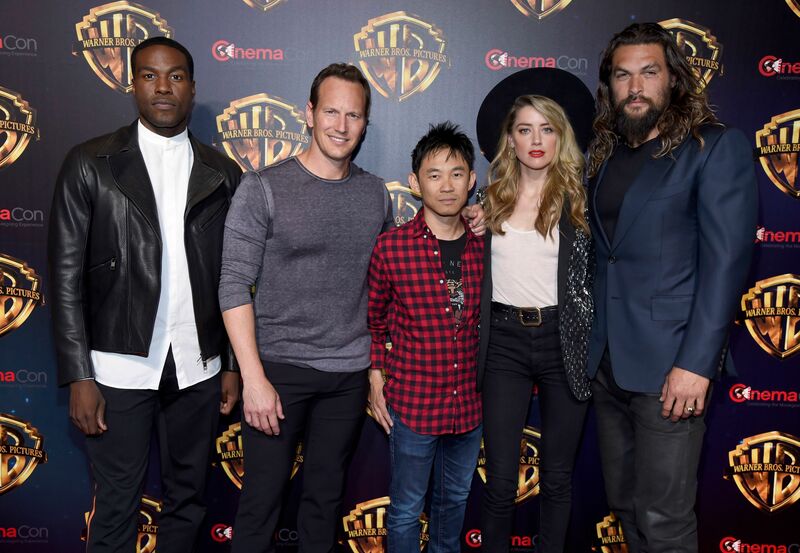 Co-stars Amber Heard (Mera) and Yahya Abdul-Mateen II (Black Manta) helped Wan and his five-time collaborator Patrick Wilson (Orm/Ocean Master) debut the first footage from the film, which resembled “The Little Mermaid” meets “Ready Player One,” and evoked “Black Panther” in its plotline. Half-human Curry must return to his underwater birthplace in attempt to seize power from his corrupt brother (Wilson). Along the way, he is aided by the hydrokinetic and telepathic undersea warrior, who happens to be a woman. The happenings in futuristic, neon-specked Atlantis appear to be wrecking havoc both above and below the water’s surface: the National Association of Theatre Owners watched a train jump over buildings, and a fleet of mechanical, shark-like creatures launch an attack. Upon arriving home, Curry finds his submerged kinsman attended massive rallies, lit by giant jellyfish. Warner Bros. will release “Aquaman” on December 21.